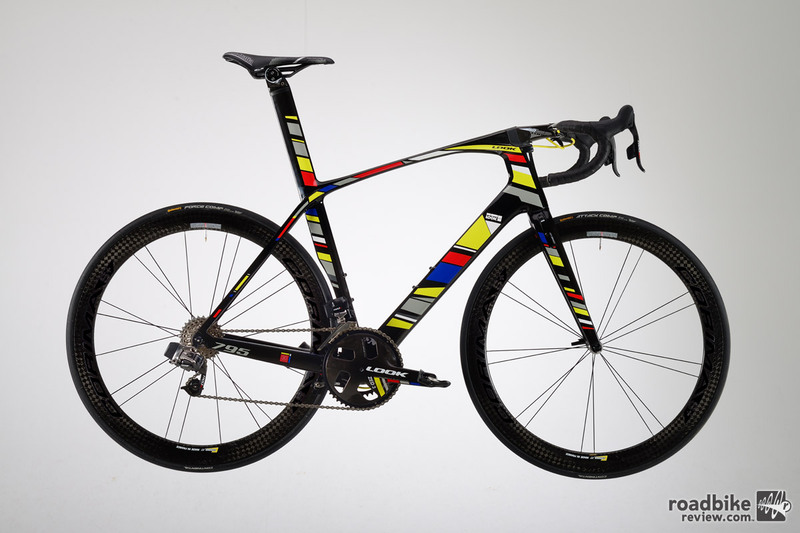 Absolute show stopper at first glance, the LOOK 795 Light RS has some impressive and unique features that set a high bar for both performance and aesthetics. But is it worth the trouble? 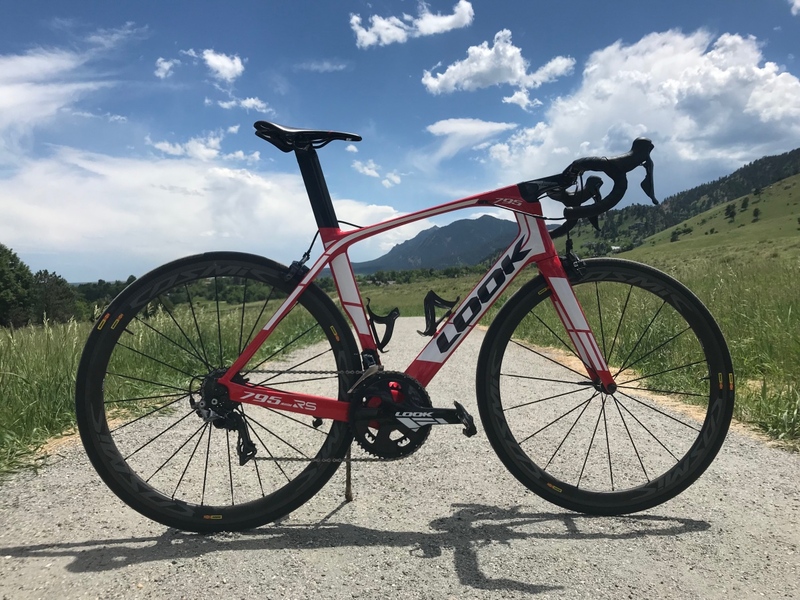 New aero road bike from the Big Red S is lighter and faster than its predecessor. 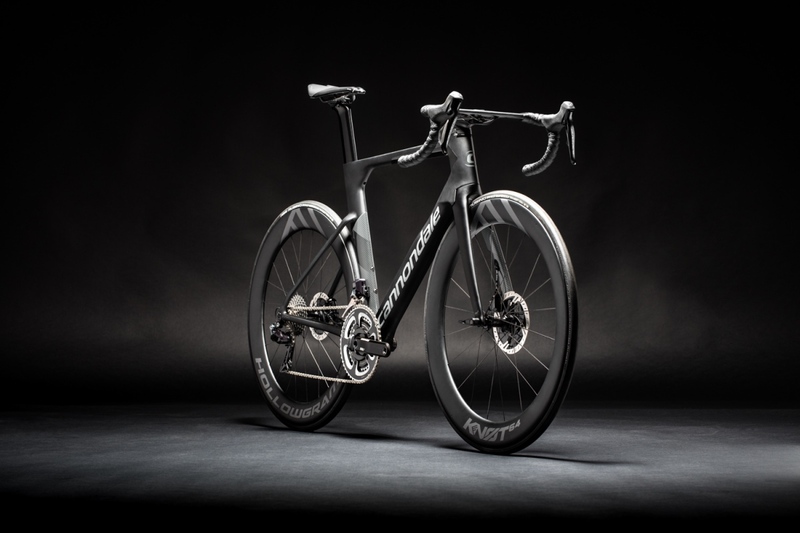 Cannondale says new bike has least drag of any UCI-legal road bike on the market. 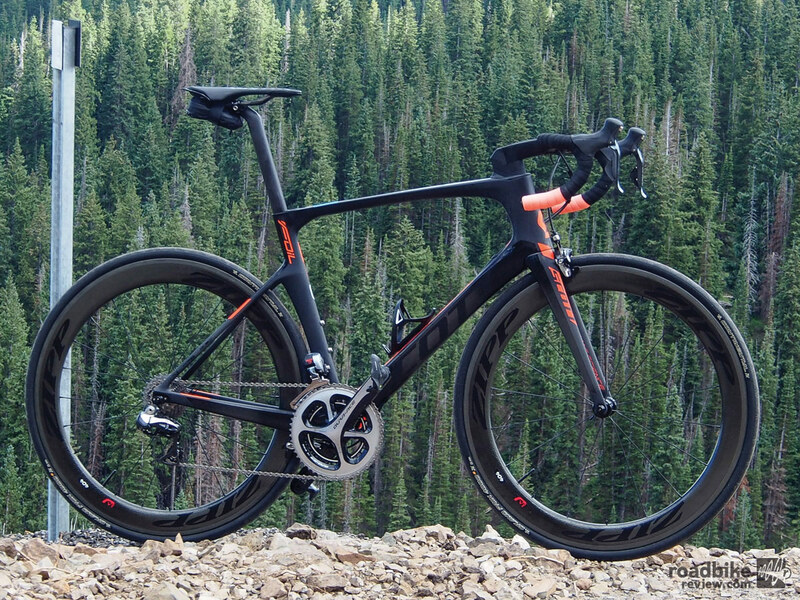 Can you get aero without an aero bike? The obvious answer is yes – just tuck your elbows in. 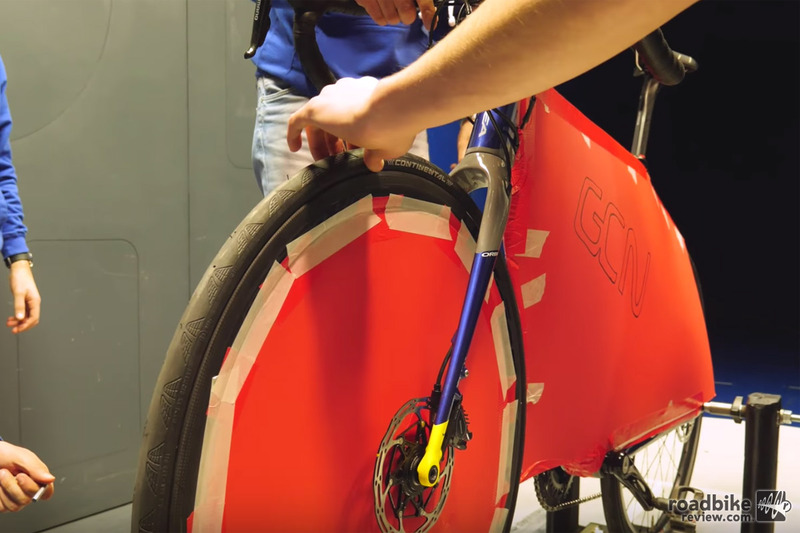 But what ways can you actually make your bike even faster? 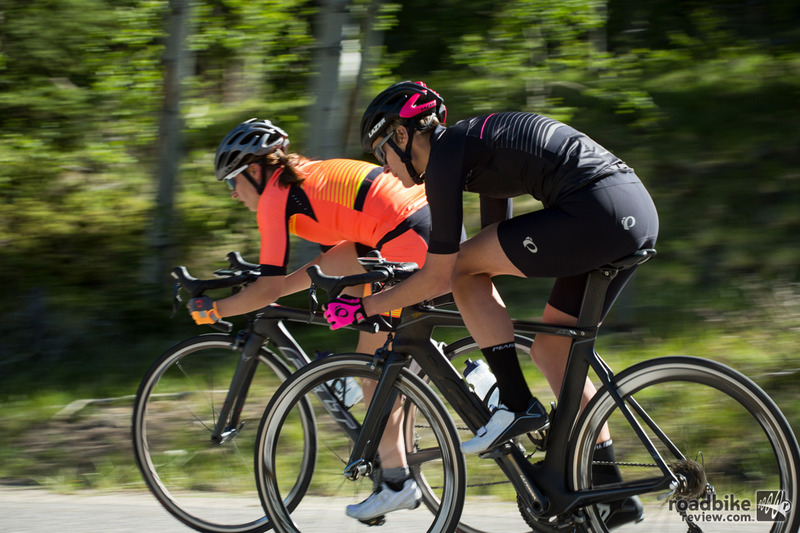 Pearl Izumi has expanded its Aero apparel collection, making its patented Speed Sleeve technology available to more riders in new Spring 2018 jerseys. 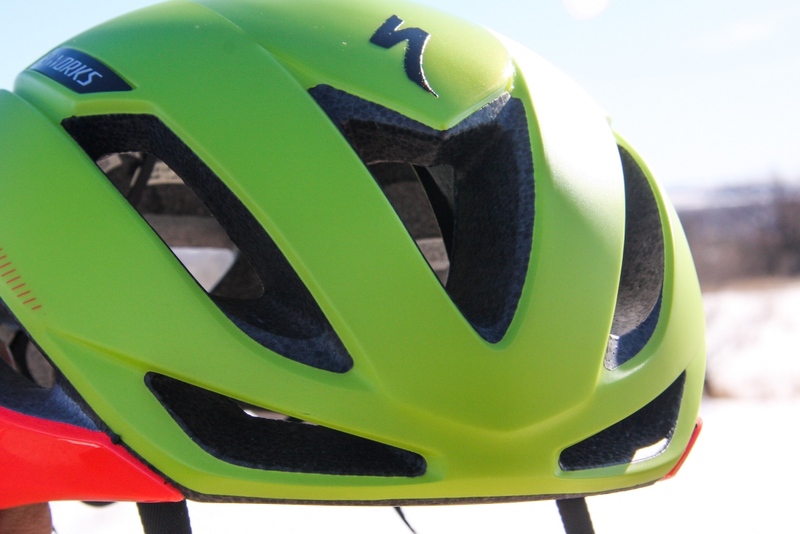 Evolutionary changes outside and wholesale changes inside claimed to make new Evade aero road helmet faster and cooler than previous wind cheater. 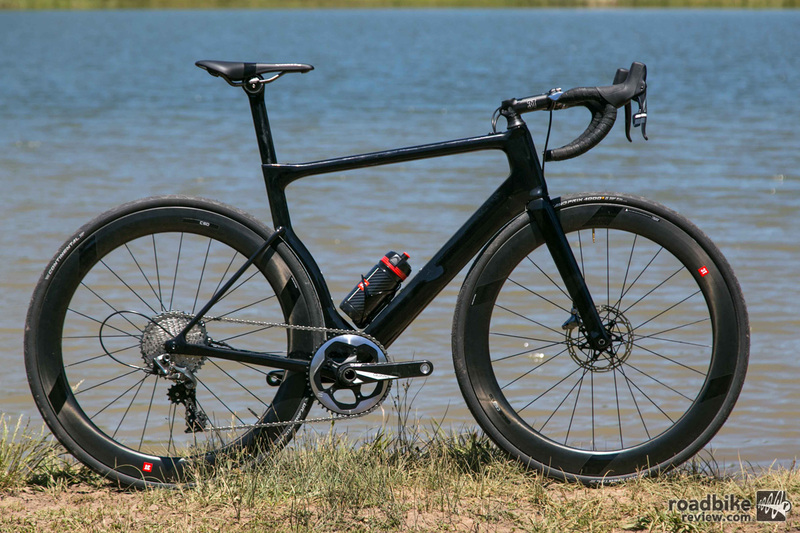 With its new IO, Diamondback aimed to create a bike that cuts through the wind, but still climbs, descends and handles like a performance road bike. Is the 1996 Lotus 110 still competitive? The Lotus 110 is one of the most iconic bikes in two-wheeled history. But is it still fast two decades after it was first released? 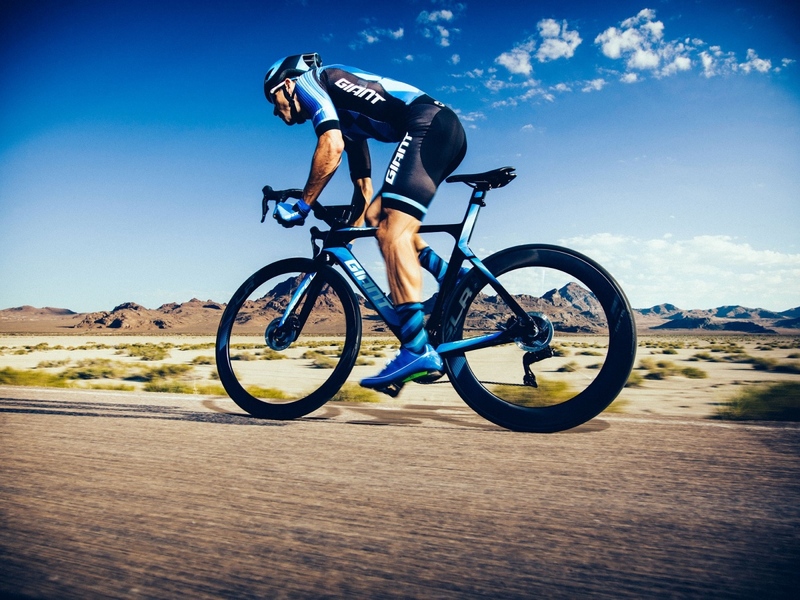 Giant has revamped its Propel Advanced aero road bike, using AeroSystem Shaping technology, which means every tube shape and angle was optimized for minimal drag with a new “truncated ellipse” shape. 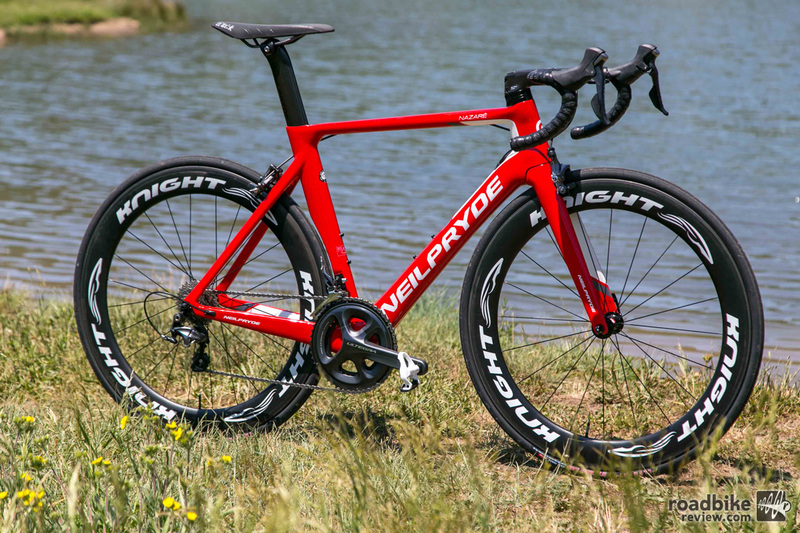 Neil Pryde is a well known brand in the UK — and It will soon be making a big push stateside and has just revamped two of its premiere road models. With aero design, a 1x specific drivetrain, disc stoppers, and massive tires, the 3T Strada is a bike ahead of its time. Will it find a market? 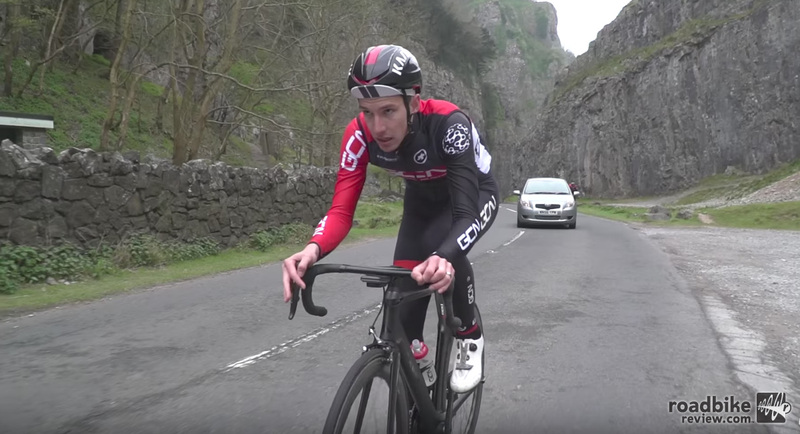 Does riding in an aero position uphill make you faster? 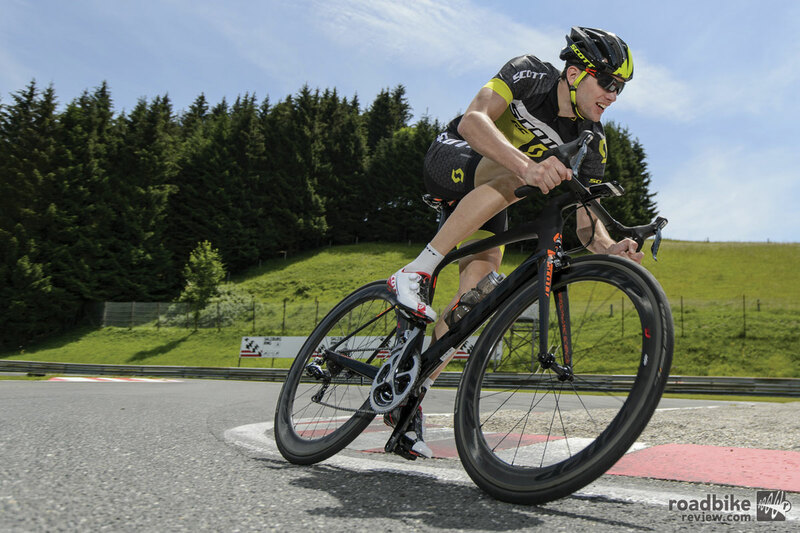 Does being aerodynamic going uphill make you faster? Check out this video to find out. Every cyclist knows an aerodynamic tuck reduces drag. But a new study coming out of the Netherlands suggests some tucks are better than others, while challenging assumptions about which position works best. Unique design is the result of a geometric interpretation of the cobblestone vibrations and goes through the whole bike to form a Kangaroo at the side of the top tube. 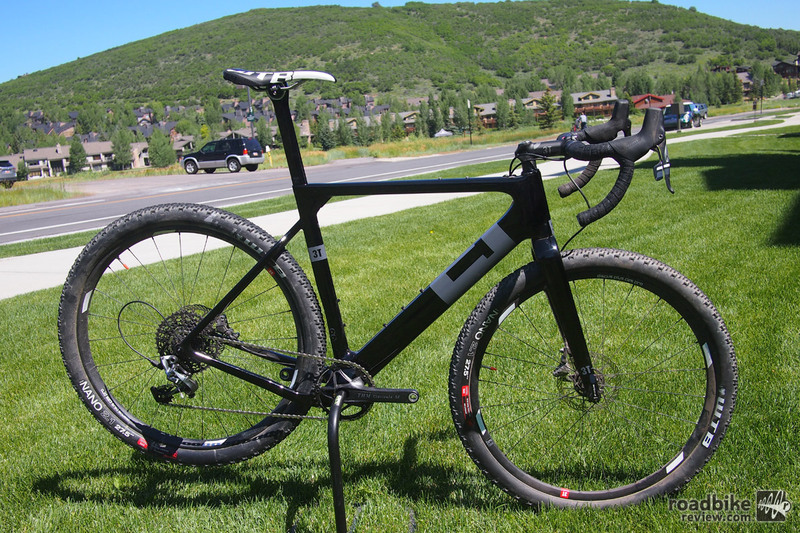 New carbon gravel bike from Italian brand 3T can fit both road and mountain bike tires and features aerodynamic tube shapes. 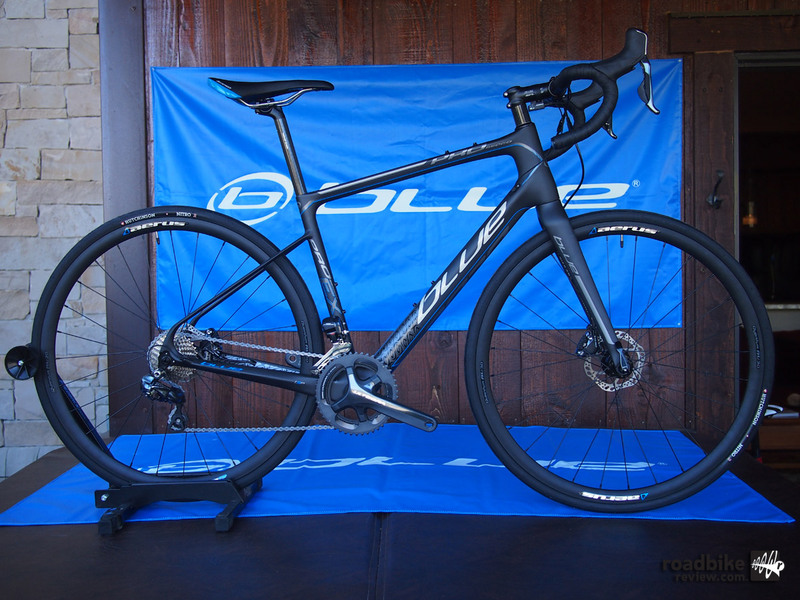 Blue Competition Bicycles is now simply Blue Bicycles and they are under new ownership. They are heavily committed for 2017 with several new models including a full carbon gravel bike with Shimano Ultegra Di2 for just $2,699. 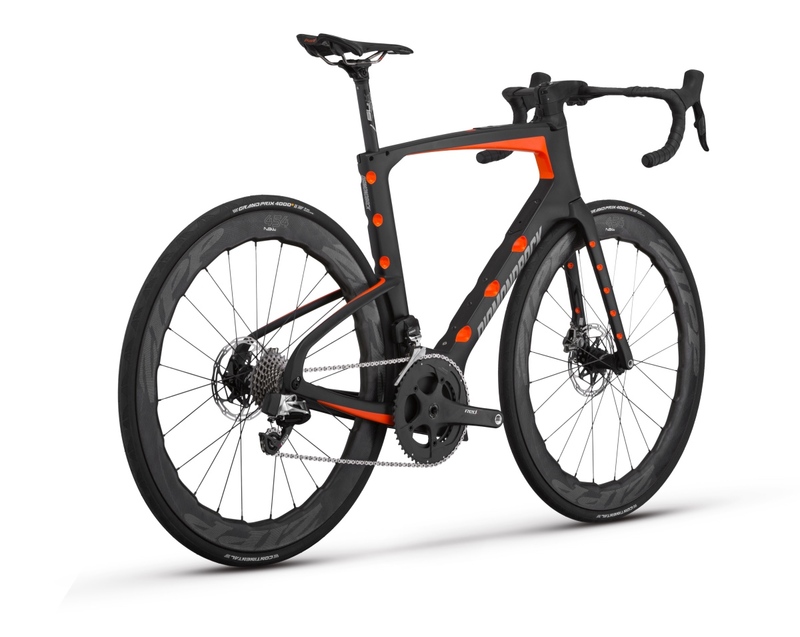 Aerodynamics, low weight, and ride quality were the primary design drivers for the new Wilier Cento10AIR aero road bike. 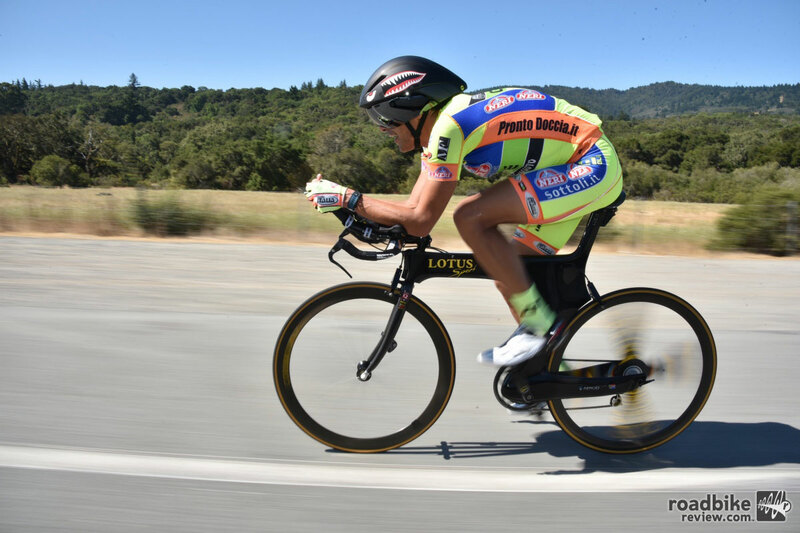 How much faster is an aerodynamic position? 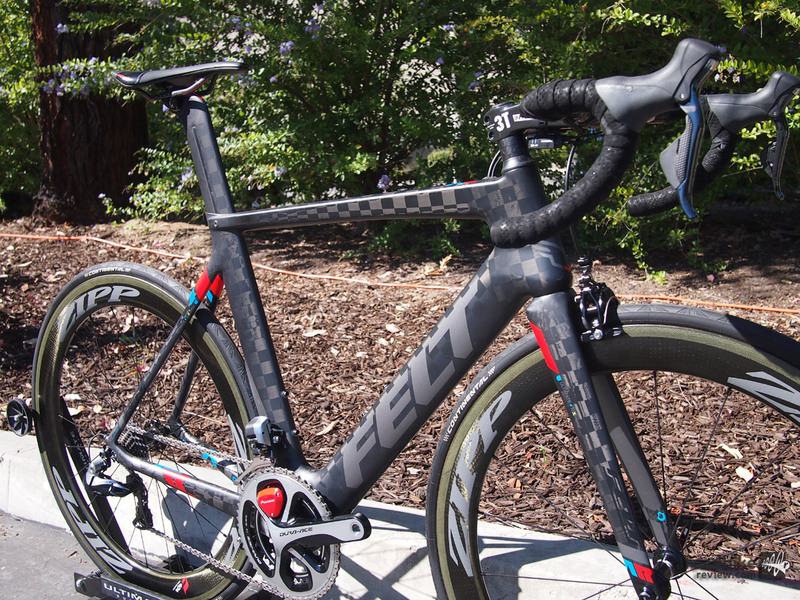 The cycling industry is fond of telling us that aero is everything. But it’s not all marketing mumbo jumbo. It’s a proven fact that air resistance accounts for much of the drag you feel on a bike. Find out how much of a difference your body position makes. Watch this video. 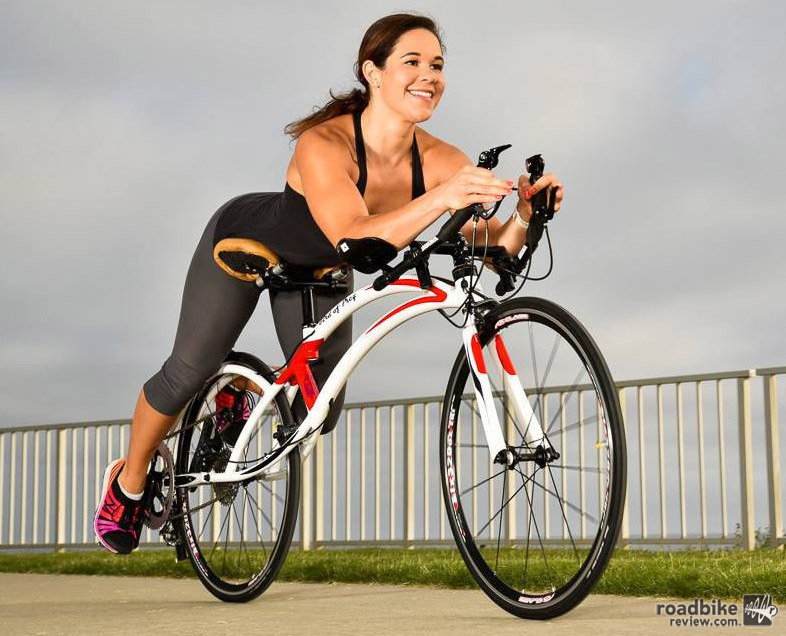 If you’ve ever spoken to a recumbent cyclists for any length of time, you’re probably well aware of the superior aerodynamics of the comically shaped machines. A new brand named Bird of Prey is taking that concept and literally flipping it on its head. 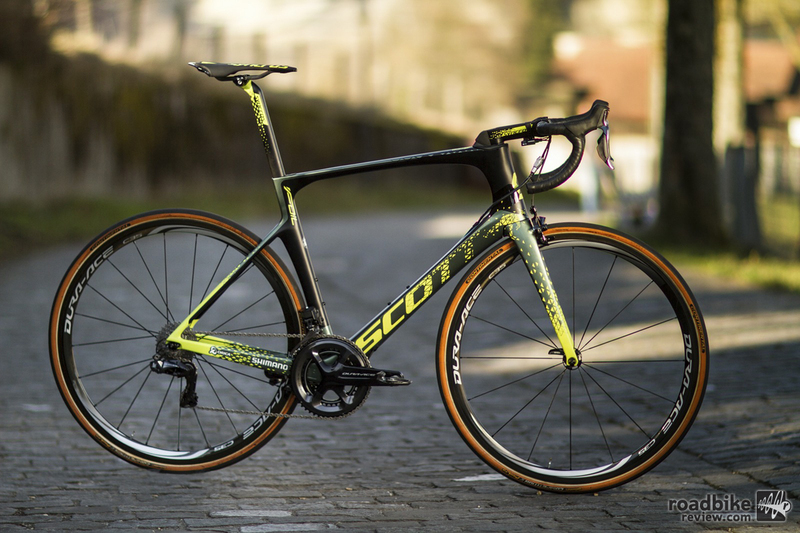 Lighter, stiffer, faster, more comfortable: Those are the claims made by the makers of the new Scott Foil aero road bike. 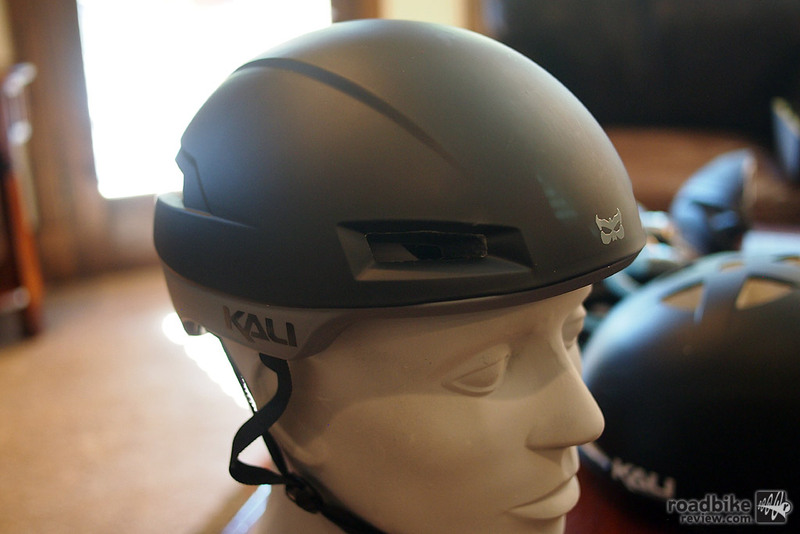 See how it fared in our first ride review. 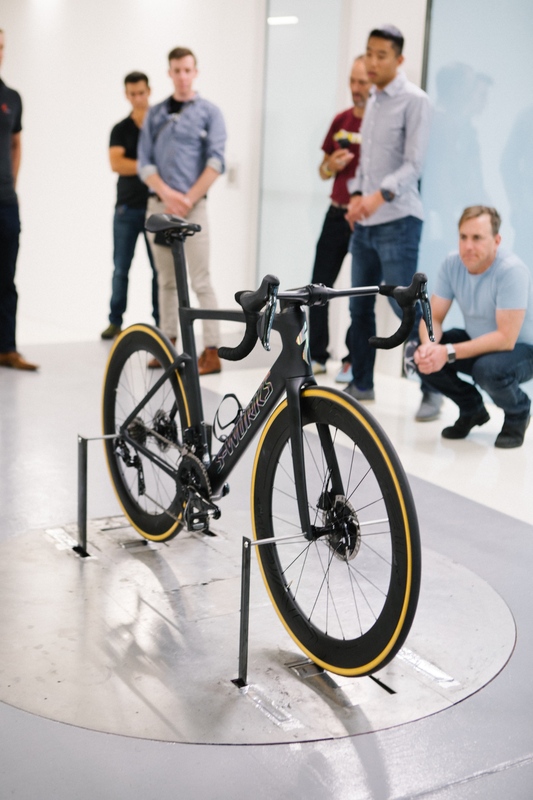 R&D, testing and world HQ tour of Felt Bicycles and a look at the new Felt IA FRD, AR FRD, F1x, Z2, ZW4 and more. New bike more aero, lighter, stiffer and comfortable than its successful predecessor. Tech updates and new innovations help combat low G impacts and rotational forces and improve fit. 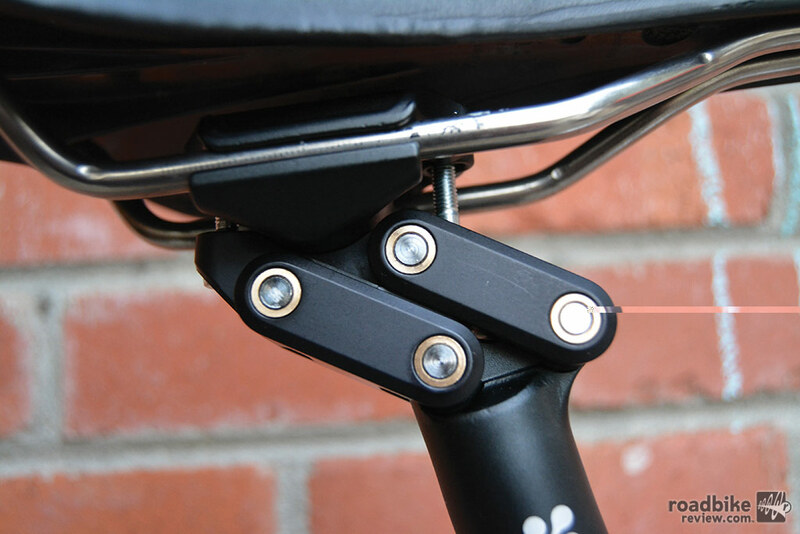 The Redshift Sports Switch Aero System is designed to make it simple to convert a road bike to triathlon use with easy-to-remove aerobars and a dual-position seatpost that allows the rider to get into the more forward “tri” position. See how well it worked.